Stardoll added a skin color picker in the beauty parlor section. You can still choose from the previous colors, but also pick from your own color from a gradient of colors, representing all race. Pretty awesome! Why its only for superstars? I dont know. the red head looks like demi lovato . 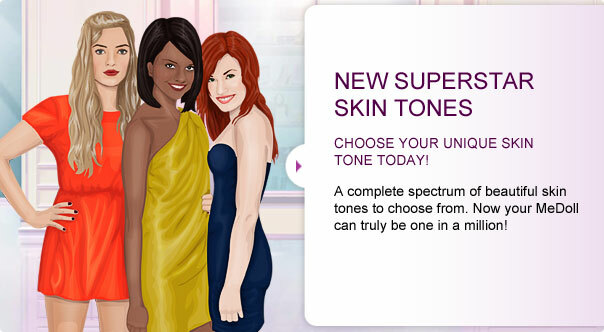 I think it's dumb that the skin colors are SS-only . . . I don't think it's fair that they are only for superstars. I am a superstar but I think they should make the makeup, skin tones, and clothes for superstars.